The Trombone (brass) Choir is well known in the Lititz area for there pre-dawn Easter morning wandering through the streets of Lititz, spreading the great news of Jesus' resurrection through a joyful noise! Rehearsals are on the 3rd & 4th Tuesdays of every month at 7:15 PM in Fellowship Hall, located in the Christian Education Building next to the church. 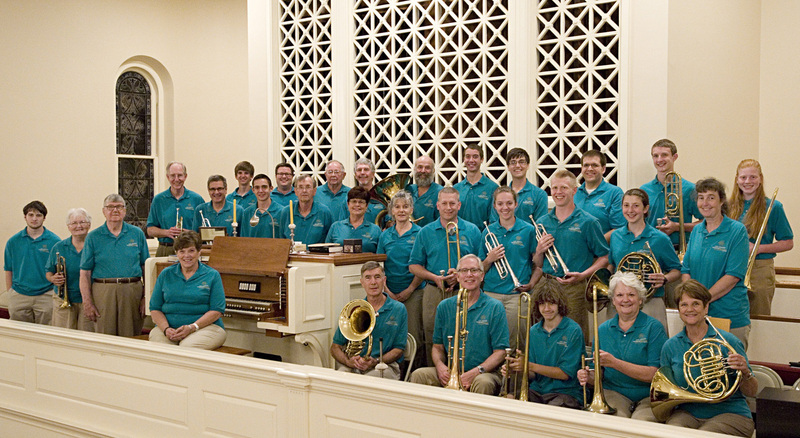 The Trombone Choir frequently welcomes worshipers on Sunday mornings with Moravian chorales either in front of the church, on the green, or in back of the church, at the parking lot entrance. They also play during special services at 10:30 AM and serve on the steps of the Archives building before and after the Christmas Vigil Lovefeast services. A beautiful tradition of the Moravians is to announce the passing of a member with the Trombone Choir sharing specific hymns for that brother or sister in Christ. Members of the Trombone Choir will gather and play during a Sunday service as the congregation remembers their fellow Moravian and, if asked, will play for funerals. Come and be a part of the fun and fellowship of LMC's historic trombone choir - all brass musicians are welcome regardless of experience. Our Handbell choir plays once a month during both 8 and 10:30 AM Sunday services. Rehearsals are on Monday evenings beginning at 7:15 PM in the Preparation Room, located on the 1st floor of the church building just inside from the parking lot entrance. Join in the fun and fellowship as you learn and enjoy being a part LMC's bell choir. Contact Marilyn Winfield through the Church Office for information about openings in the choir.